The nation’s largest federal employee union on Wednesday night filed a motion in the U.S. District Court for the District of Columbia to declare that the Veterans Affairs Department is in contempt of a recent court order invalidating President Trump’s executive orders aimed at cracking down on labor groups. The American Federation of Government Employees filed the motion on behalf of AFGE Local 3399, which represents employees at the Harry S. Truman Memorial Veterans’ Hospital in Columbia, Mo., claiming that department officials repeatedly ignored demands to roll back implementation of the key provisions of three executive orders that were struck down last month by U.S. District Court Judge Ketanji Brown Jackson. Once VA issued an order to rescind offending elements of workplace policies, AFGE said department officials attempted to improperly retain a requirement that all union officials must receive permission prior to the use of official time. In May, Trump issued three executive orders, which sought to make it easier to fire federal employees, set time limits and limit the scope of collective bargaining negotiations, and to severely curtail union officials’ use of official time, as well as the scope of topics that can be administratively aggrieved. But Jackson found that the key provisions of the orders amounted to an “evisceration” of unions’ ability to bargain collectively, in conflict with the 1978 Civil Service Reform Act. 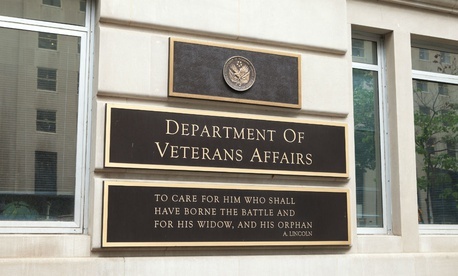 On Aug. 31, VA issued a memo rescinding most of its policies implementing the executive order, but it maintained a requirement that union officials obtain permission through the VA Time and Attendance System (VATAS) for any official time request in advance. The AFGE local accused management at the VA facility of using that system to prevent union employees from performing representational duties. In that instance, McMahon was scheduled to present a grievance to department management on Sept. 10, but he was repeatedly denied requests for official time. Later that day, he was told that the window to present a grievance in person had closed. In her court decision, Jackson wrote that requiring preapproval of official time is particularly problematic.